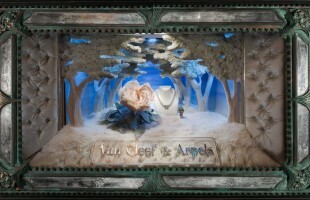 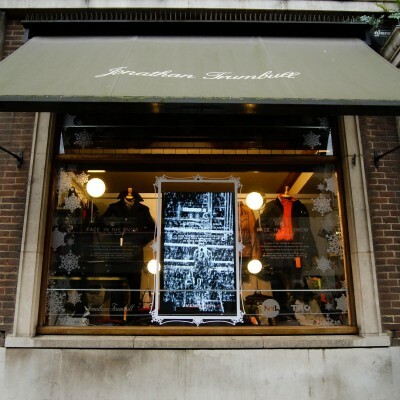 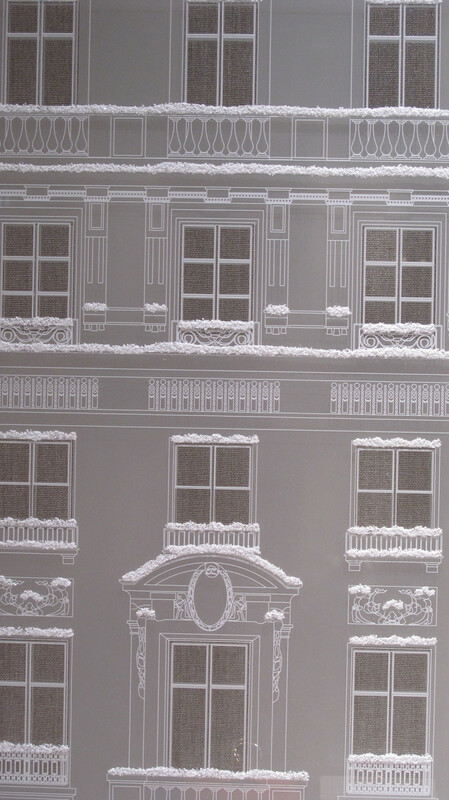 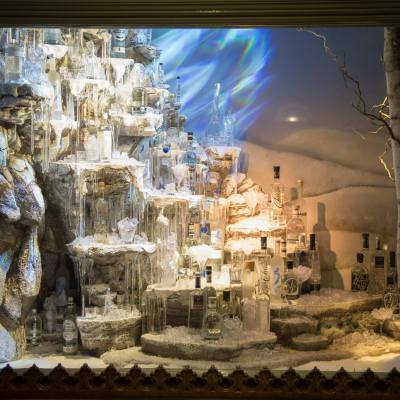 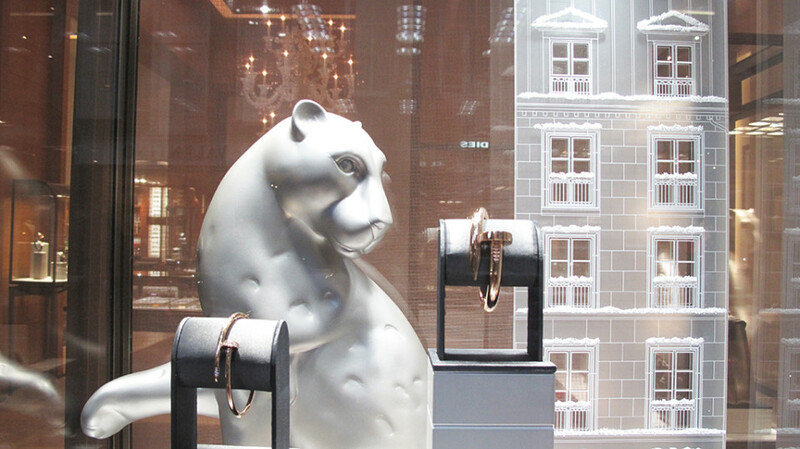 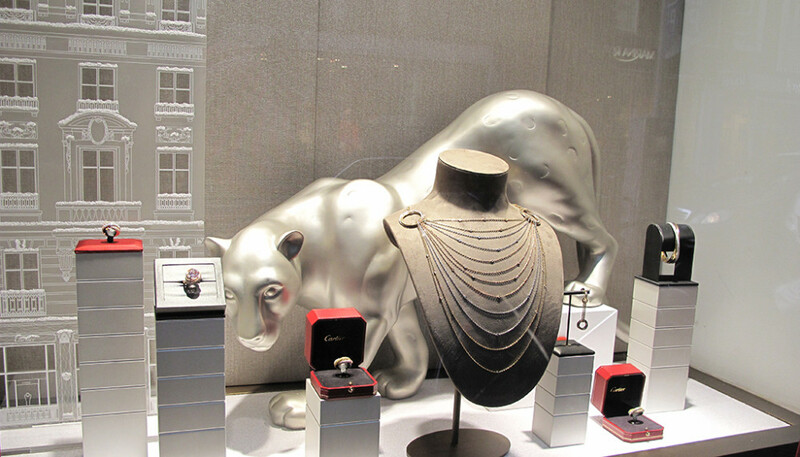 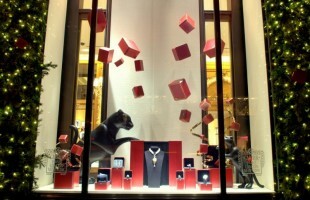 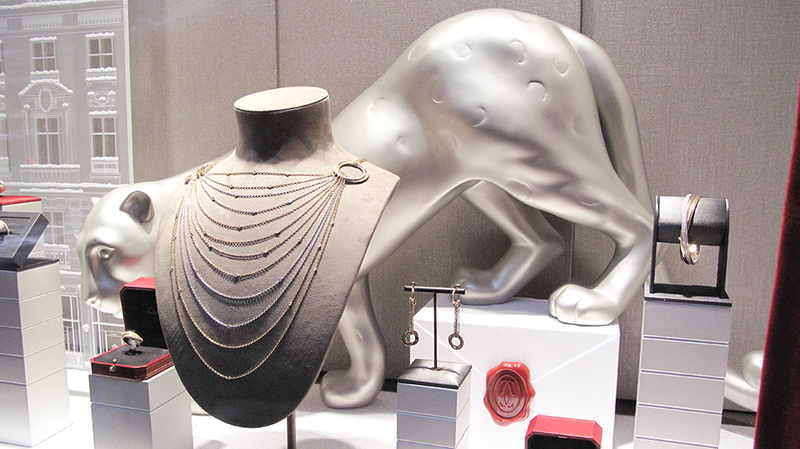 The “Winter Tale” Christmas window display has the Cartier symbol: the panther, walking by the Cartier jewelry and houses with windows covered by snow. 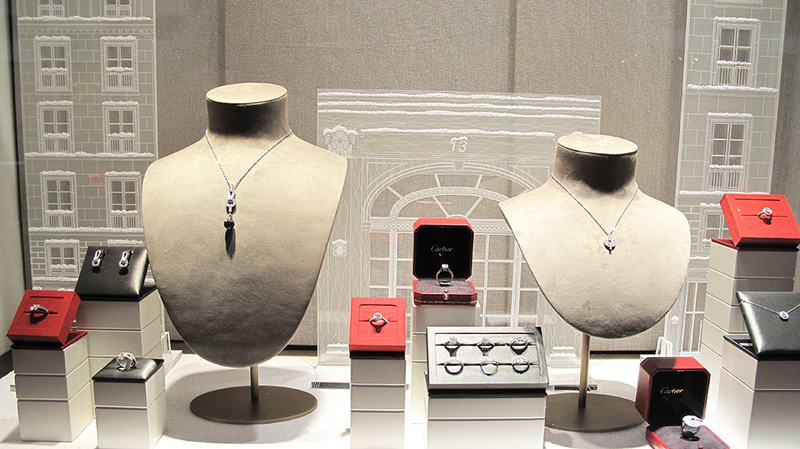 This window displays the Trinity de Cartier collection: the Trinity draped necklace, the Trinity bracelet, the Trinity ring and the Trinity earrings. 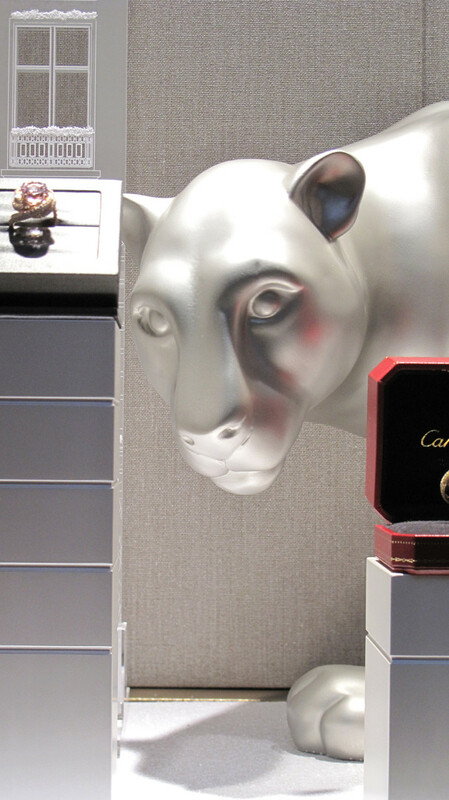 The pink gold Trinity de Cartier ring with diamonds and kunzite. 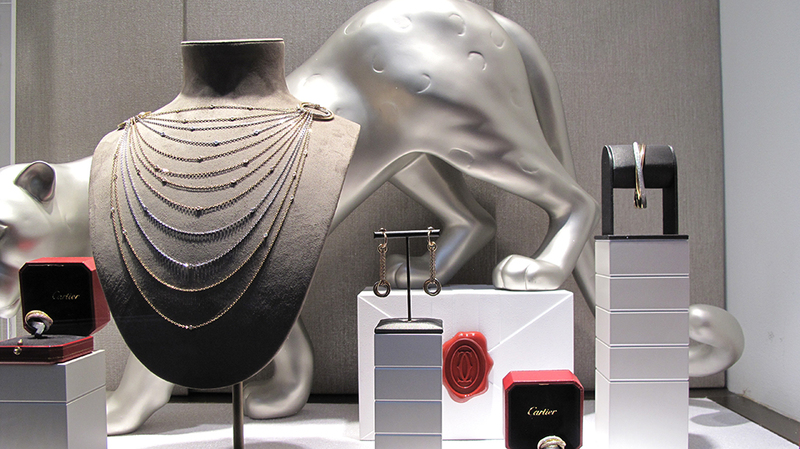 Jewelry of the Links and Chains collection and the Classis diamonds collection. 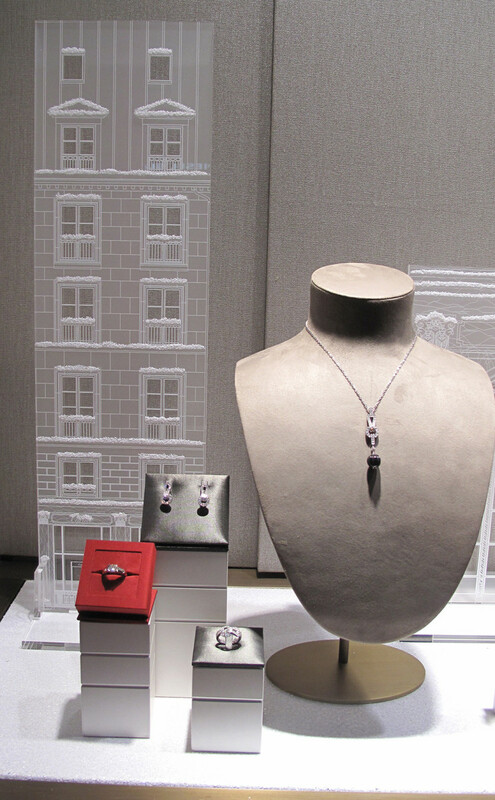 The white gold Cartier Agrafe necklace with onyx, rubellite and diamonds.